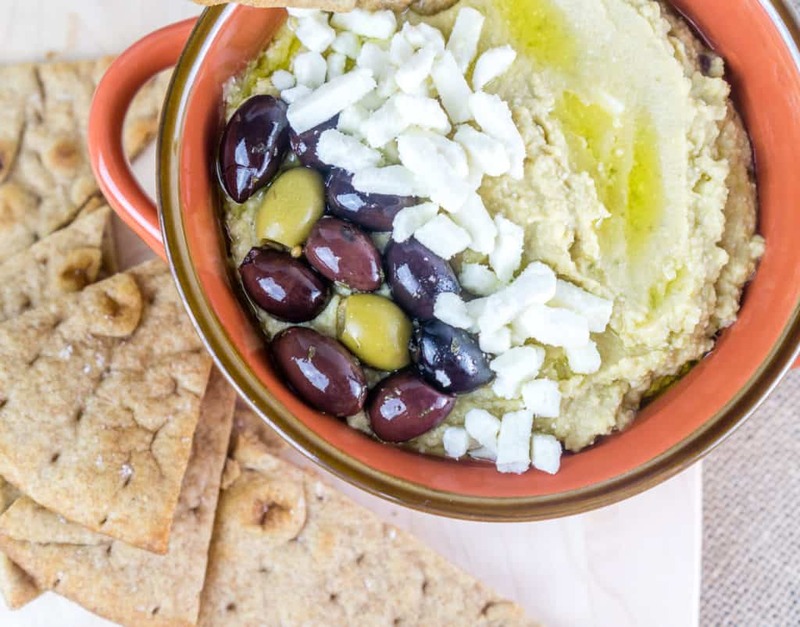 This flavorful Olive & Feta Hummus goes perfectly with homemade Garlic Sea Salt Pita Chips for the ultimate snack combination. I am excited to post another recipe sponsored by Pomora Olive Oils. This post contains affiliate links. I love love love hummus. I can totally make a dinner out of dipping veggies and pita chips into hummus. In fact, I used to do that a lot before Aldo and I moved in together. But Aldo prefers eating a real meal for dinner, so hummus has been demoted back down to a snack food in our house, at least around dinner time. Poor hummus. I still have a lunch of hummus and veggies sometimes while I am on maternity leave with Elliot and heating up food is just not in the cards some days. HUMMUS TO THE RESCUE! I always make sure to use high quality olive oil in recipes where the quality of the oil really makes a difference – such as the dressing in this Brown Rice Salad, or in a fresh Pesto to spread on top of crusty bread. 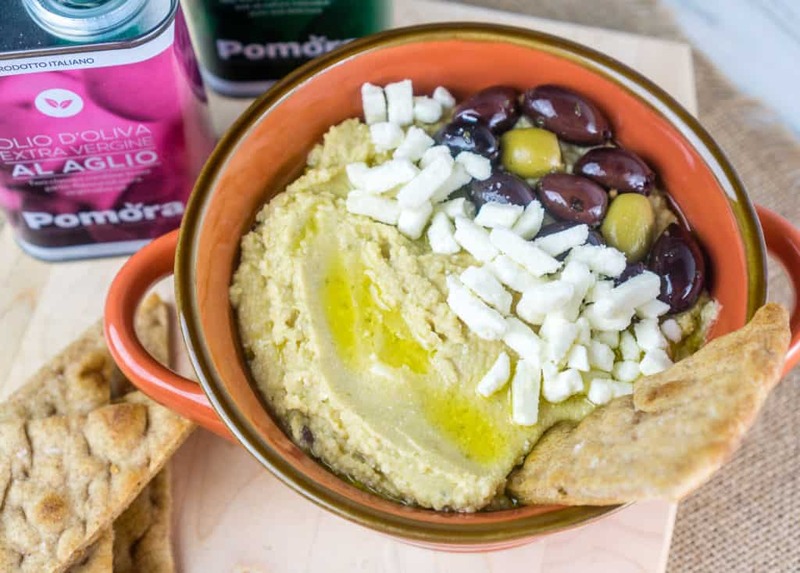 Or in this hummus recipe with Garlic Sea Salt Pita Wedges. 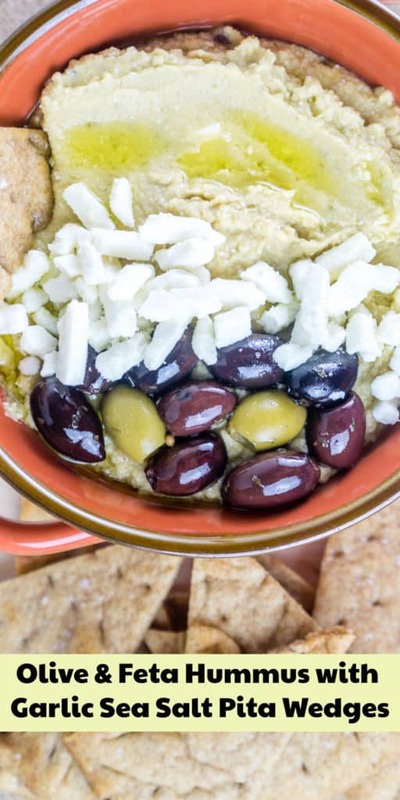 I highly recommend making your own pita wedges to dip into this hummus – they are worlds above packaged store-bought pita chips. For this recipe I used whole wheat pitas and brushed them with Pomora Garlic-infused extra virgin olive oil, sprinkled with some sea salt, and baked real quick at a high temperature to get them nice and crispy. These pita wedges would also be amazing for dipping into a hot tomato bisque or butternut squash soup. Give this recipe a try next time you are trying to decide what to make when people come over. 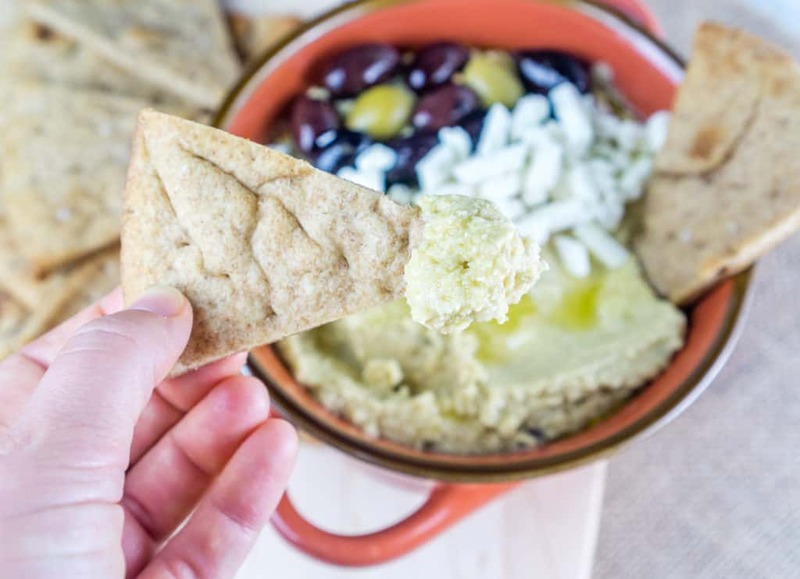 They are bound to love this hummus and appreciate the extra bit of effort that goes into making your own pita chips for dinner. Prepare the pita wedges: Preheat oven to 400F. Brush the pita breads with garlic-infused extra virgin olive oil. Cut each pita into 8 wedges and place on a large baking dish. Season with sea salt to taste. Bake at 400F for 5-8 minutes, or until the pita wedges are toasted. Allow to cool. 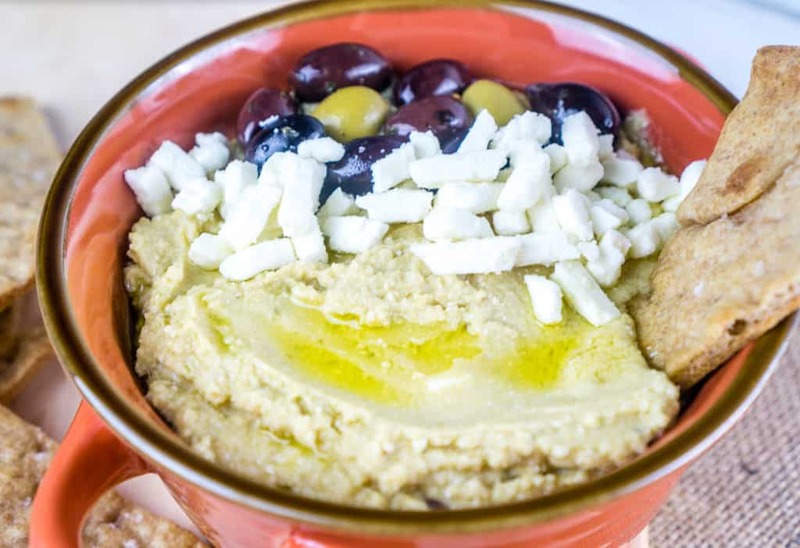 Prepare the hummus: In a medium size food processor, combine the chickpeas, extra virgin olive oil, garlic clove, lemon juice, salt, pepper, and water. Process for about a minute, or until the mixture is smooth. Add more water, salt, or pepper if desired and process to incorporate the ingredients. If you do not have garlic-infused olive oil, you can mince one garlic clove and stir into 2 tablespoons olive oil. Allow to infuse while slicing the pita wedges. 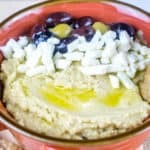 Let me know what kind of hummus add-ins are your favorite! 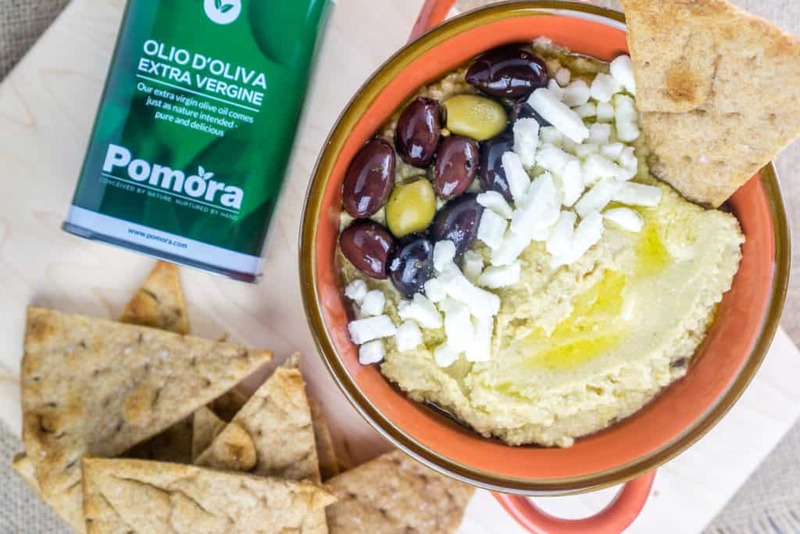 And don’t forget to check out Pomora and their olive oils. This post was sponsored by Pomora. All opinions and recipes are my own, as usual. 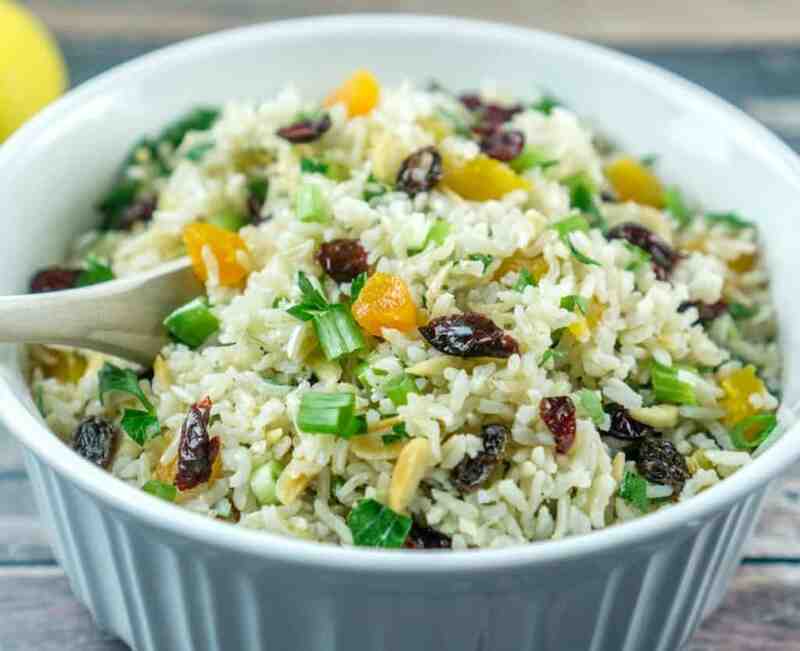 Brown Rice Salad with Dried Fruit and Nuts. Get the recipe. 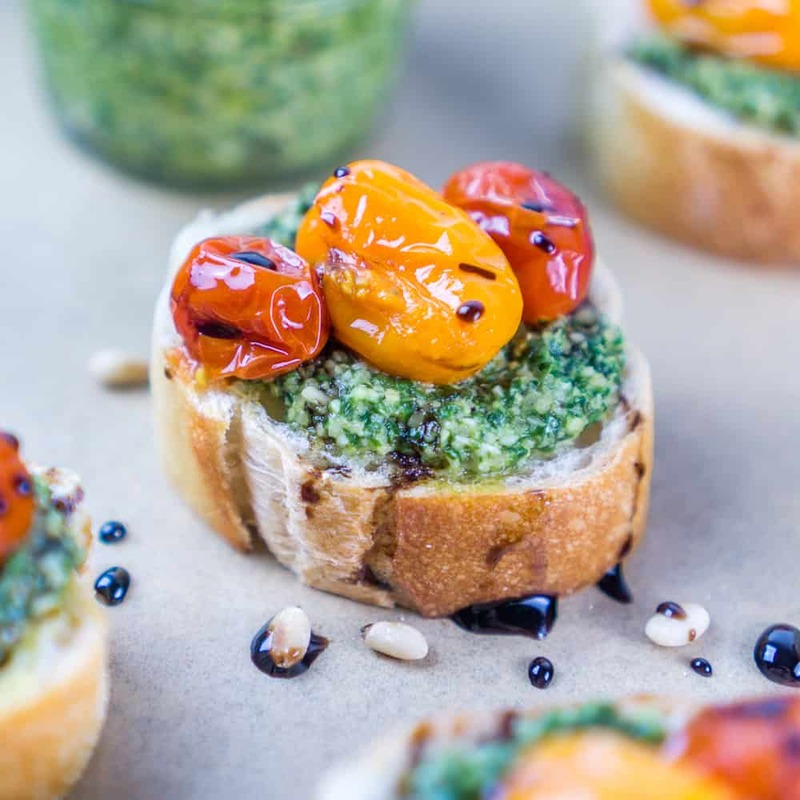 Pesto & Burst Tomato Crostini. Get the recipe. 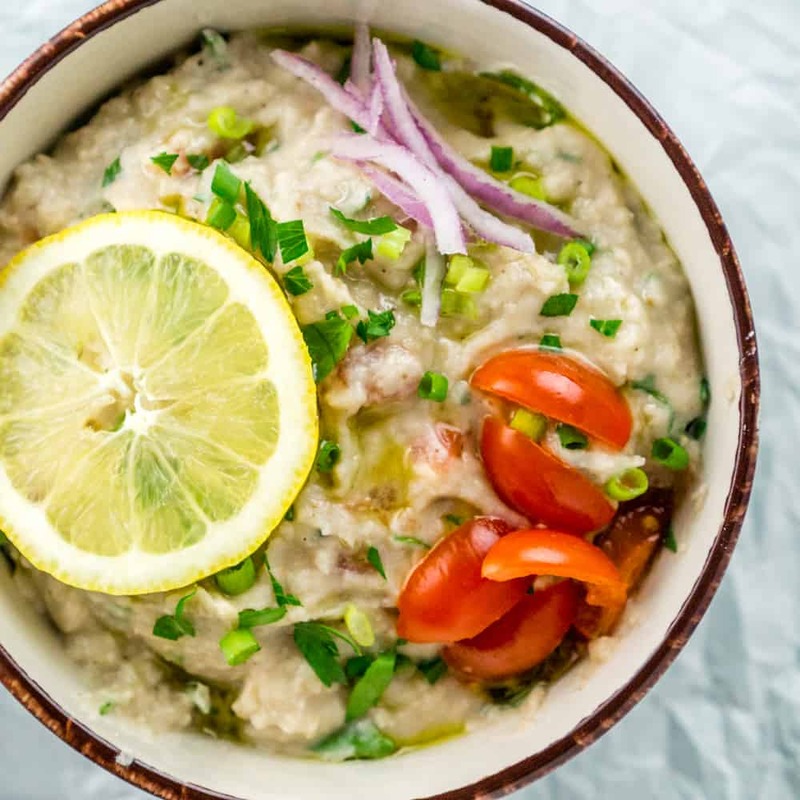 Zesty White Bean Dip. Get the recipe. 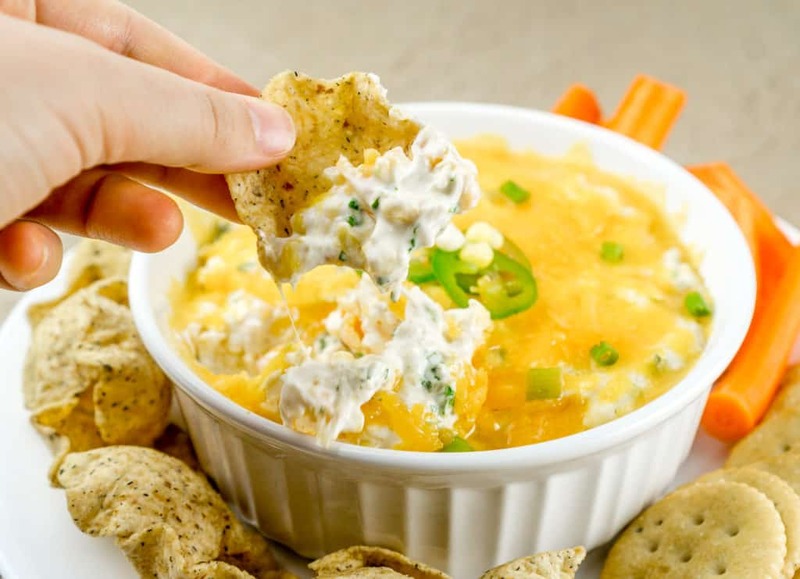 Cheesy Chicken Corn Dip. Get the recipe.